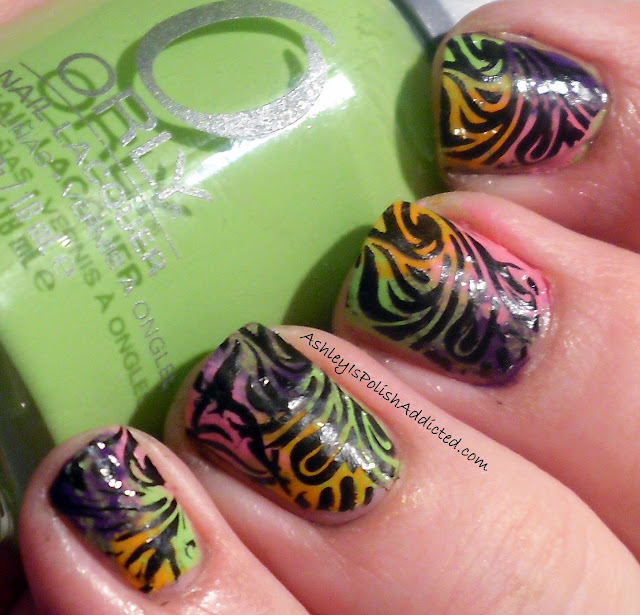 Ashley is PolishAddicted: Bright and Summery Swirl Explosion! Overall I am happy with it. 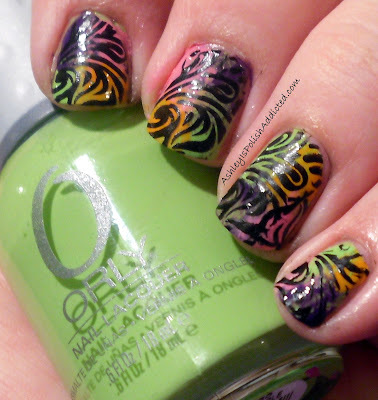 I used Orly Green Apple (which I LOVE) as my base and then used Green Apple, Orly Charged Up, Zoya Shelby and Zoya Arizona in a "quadrant" pattern and sponged them together. I then stamped over it with Milani Black Swift using BM19. What do you thing of my bright swirls? I hope you enjoyed them! So coooool! I love this, so bright and awesome! Ahh these are so awesome! This is very cool! I love e way the colors peak thru the stamp!